Look it UP or break it DOWN? 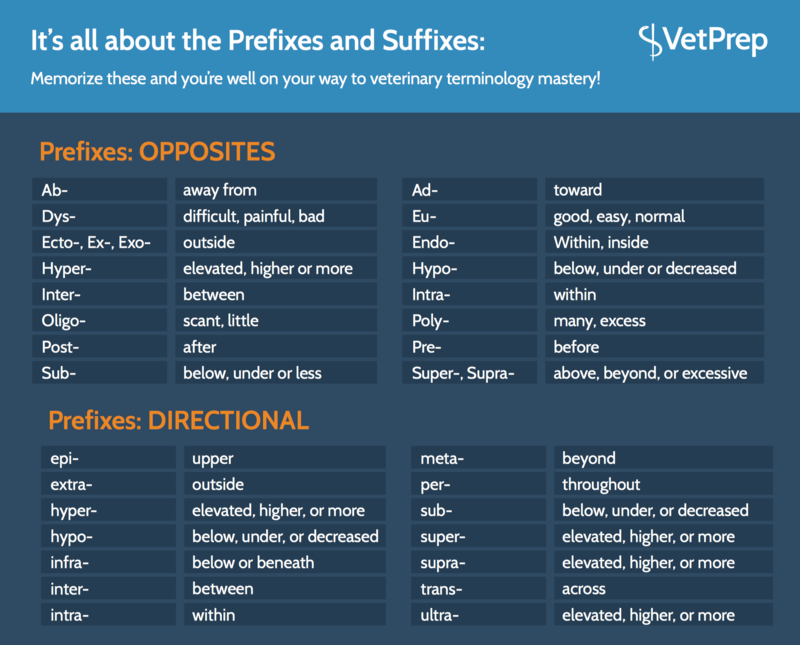 A medical dictionary is an obvious must-have for any veterinary student. Your vocabulary will expand exponentially as you learn. Unfortunately, memorizing definitions, though helpful, is not enough to prepare you to think critically as you move forward in your career. 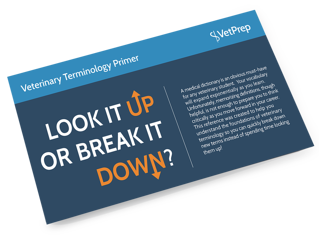 This reference was created to help you understand the foundations of veterinary terminology so you can quickly break down new terms instead of spending time looking them up!